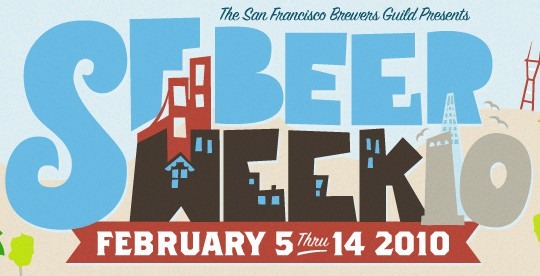 here’s some things that will help you get the most from SF Beer Week. we did it last year and we learned lots. get the iPhone app if you have that thing. it has a list of all the events. plus it lets you share photos. 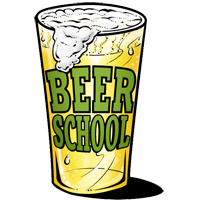 or lacking that thing the SF Beer Week website has a very complete list of all the events. here is a nifty interactive map to help you get there. you cannot go to every single event. don’t even try. by the time this happens there will be over 250. decide what you think is the most fun you can have and do that. you will look at the list with the idea of all of this sounds fun. but the reality is that time will be your limiting factor. 6 Double IPA Festival in Hayward. Noon-ish. 7 Beerunch before the @ESBale Stupid Bowl & Home Brew Festival. 11 Paxton dinner. details here. or it's Oyster Fest at Magnolia and Sierra Nevada at the T.
if you want to go to a specific dinner or event don’t wait to sign up. do it the second you think it’s a good idea. everything sells out. don’t do anything on an empty stomach. you really need to eat before you get these events. the idea is that a good foundation will help you later. plan on public transportation. bart, bus, cab, train, trolly, or designate a driver. please DO NOT DRIVE yourself. the Toronado is always crowded for these events. if you want a seat get there earlier then the actual event. but don’t just sit there. also remember that “less popular places” are also doing very cool things. two examples: Pi Bar, the new kid on the block, has events almost every night. and City Beer Store has special tastings all week. it’s not just in San Francisco. events are happening all around the Bay Area. and there’s events happening in the Lower Area as well. take notes. take pictures. get twitter. get it on your phone. 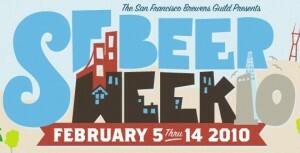 and when you tweet something put @sfbeerweek as part of the message. this will let everyone know what a good time you are having. take a night off. or make it a short one. you don’t have to stay to the end. it’s okay to go home early. it’s not all drinking. there’s lots of learning going on as well. check out the Expert Panel series. a beer judging session. homebrewing demostrations. brewery tours. beer appreciation. there’s lots to learn. drink water. you don’t have to go overboard on this. but have a glass once in a while. you will feel better later if you do. the Double IPA Fest gets bigger every year. take BART. it’s over by 6. and Pliney the Younger runs out first. my take on the Barley Wine Festival is to go late. sure, you won’t get to try as many because they sell out. 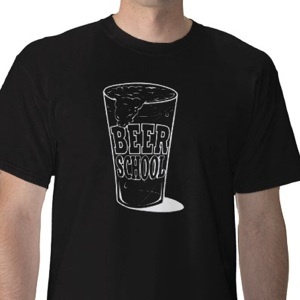 and you certainly will miss the winning beers. but it doesn’t matter as you won’t have to fight. this festival starts Saturday morning. if you aren’t in line by 9 you won’t get in. it gets super crowded, it’s very loud and it gets hot inside. the other thing to do is go with a team. that way you will get to try more because you are committing to tastes not larger pours. the Celebrator Party is always fun. and this year its back at Trumer! save $10 by getting your ticket(s) early. just because we’ve listed these specific events doesn’t mean that the ones we missed aren’t awesome. there’s just too much going on. believe us, all of it looks fun and should have our attention. remember, it’s a marathon not a sprint. it’s a party that lasts for 9 days. 1 more day than the Beatles 8 Day Week. you start to feel the effects of it by the third day. drink less. drink smaller. share what you are tasting. we did a big wrap up of it on the podcast. here’s the link for it.